Thesis topic: An assessment of long-term vegetation change over a 60 year period in the Eastern Cape’s Nama Karoo and Grasslands biomes using historical vegetation data and photographs. My Masters thesis focused on the pollination biology and ecology of an Endangered South African endemic species, Aloe peglerae. After a two-year work abroad stint in America after graduating, I returned to South Africa to pursue a career in ecology and conservation. 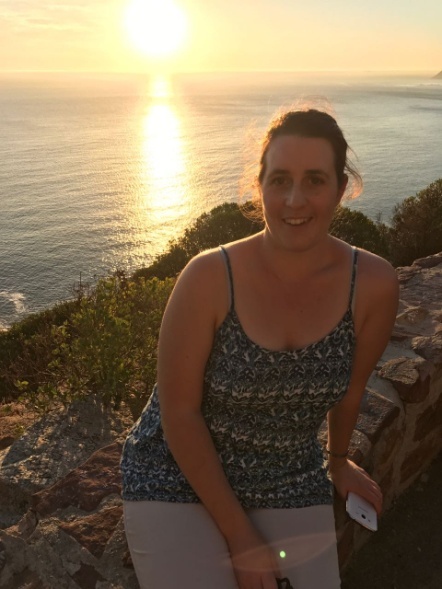 I entered into the DST/NRF Internship programme in 2016 based at SAEON’s long-term ecological research facility, Tierberg, in Prince Albert in the Karoo. It was through spending time in the Karooveld that I became very interested in and passionate about this environment and its people. After completing the internship I turned my attention to starting a doctorate in assessing the long-term changes of Nama-Karoo and Grasslands vegetation across a climatic gradient where these two biomes meet. I hope to achieve this by comparing historical agricultural vegetation datasets acquired from farms in this region (collected in the 1950s-1960s) with repeat surveys and repeat photography of these same farms in the context of changing climate and land use patterns for this period. My current research interests fall broadly into understanding how semi-arid environments in South Africa respond to drivers of change, particularly climate, land use, and fire through long-term monitoring of vegetation patterns. Other research interests have included studying Aloe pollination, population and habitat dynamics. Arena G, van der Merwe H, Todd SW, Pauw MJ, Milton SJ, Dean WRJ, Henschel JR 2018. Reflections, applications and future directions of Long-Term Ecological Research at Tierberg. African Journal of Range & Forage Science 35(384): 257-265. Djukic I, Kepfer-Rojas S, Schmidt IK, Larsen KS, Beier C, Berg B, Verheyen K, Arena G et al. 2018. Early stage litter decomposition across biomes. Science of the Total Environment 626: 1-26: https://www.researchgate.net/publication/322739158_Early_stage_litter_decomposition_across_biomes. Arena G, Witkowski ETF, Symes CTS (2015) Growing on rocky ground: Microhabitat predictors for site occupancy of Aloe peglerae, an Endangered endemic species with a restricted range. South African Journal of Botany, 100: 174 – 182. Arena G, Symes CTS, Witkowski ETF (2013) The birds and the seeds: opportunistic avian nectarivores enhance reproduction in an endemic montane aloe. Plant Ecology, 214: 35–47. Arena G, Symes CTS, Witkowski ETF (2013) Conference abstract: Neighbourhood effects on reproductive success in the endangered montane Aloe peglerae. South African Journal of Botany, 86: 144. DOI: 10.1016/j.sajb.2013.02.026. Arena G 2018. Kraalaalwyn: an oasis in the drought. Veld & Flora March 2018. Arena G. 2017. Using history to understand how natural rangelands in the Eastern Cape have changed. SAEON online newsletter Aug 2017. http://www.saeon.ac.za/enewsletter/archives/2017/august2017/doc05.